Whether you're an athlete or fitness enthusiast or just someone who wants to make those dreaded workouts that little bit easier or more productive; then pre workout nutrition is going to be something you want to at least consider. Good nutrition can help your body perform better and get more out of your workout. It can also help speed up recovery so you can start your next session ready to go and without the fatigue from the previous one. Good nutrition can also help you mentally get through your workouts. If you have more energy, you have the ability to concentrate and focus for longer too. We've all had those workouts where we have been so tired we zone out - are these workouts even worth it if we don't have the energy to get the most out of it? Optimum nutrition before a workout is crucial in maximising your performance but also in helping you recover. Neglecting it could be the difference between effective workouts and even enjoyment. This article is all about pre workout nutrition and everything you need to know to make it work for you. Pre Exercise Nutrition Needs - Why Pre Workout Nutrition? What and when you eat before a workout can make a big difference to your performance and also to your recovery. 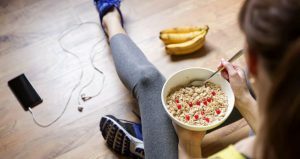 In the 3 hours leading up to your workout, you will want to eat something that can help you sustain energy, keep you hydrated, boost your performance, boost your mental focus and also help you recover. An endurance athlete - You''ll be racking up a lot of miles, potentially high intensity too. Carbohydrates and calorie needs are going to be much higher than your average athlete. A bodybuilder - You'll be lifting weights and be serious about muscle growth. You also may want to gain weight appropriately. Your protein and calories needs will be higher. A recreational exerciser whose goals are modest/you just want to be healthy - You can get away with being much more flexible about your pre workout nutrition and your timing doesn't necessarily have to be perfect. You will still benefit from pre workout nutrition overall though, particularly when going through a particularly stressful/busy time or just feeling lethargic. If you're only working out a few times a week and a fairly average gym goer/runner/cyclist, you may not even really need to consider pre workout nutrition particularly if you eat a healthy and varied diet. If you focus on improving the nutrient content of the foods you eat and eating well, then the likelihood is that you will find you may not need any pre workout help. However every so often you may want a pick me up and this is where pre workout nutrition can he helpful. Many studies show how eating protein before a workout can help improve athletic performance. Eating protein on its own or with carbohydrates has been show to increase muscle protein synthesis (1). One study showed a positive anabolic response when participants consumed 20 grams of whey protein before their workout (​2). Improving the rate of recovery ​(4) - Eating protein before a workout reduces the markets for muscle damage and/or helps prevent them. The less damage, the faster you recover. Carbohydrates do not seem to offer this protection. Helps maintain or increase your muscle size - Eating protein floods your bloodstream with amino acids when your body needs them the most. Amino acids are needs to build muscle and without them you won't be able to. Eating protein will therefore boost your muscle building capabilities which will increase their size and prevent damage. If you haven't eaten protein in the 4 hours before your workout then it is a good idea to have a small amount before your workout. If within a few hours of your workout you have eaten protein, this should be enough until you have finished your workout and are ready to replenish. Protein intake will be more crucial to a bodybuilder or someone who wants to build muscle. If muscle growth is important to you then you should be eating protein before a workout, however it is not necessarily needed under all circumstances if your diet overall is rich in protein. If you don't eat enough protein before a workout, your body's ability to synthesize protein is going to be low. It will be waiting for its next hit of protein. This will not only make your workout harder, you'll also find your break down rates are higher than your muscle growth. Your muscles use glucose from carbohydrates to fuel your body. Glucose is stored by the body in the form of glycogen and this is mainly stored in muscles and the liver. For short, high intensity workouts, glycogen stores are your muscles' main source of energy (7). So if you are performing a short workout you want to make sure you have enough in your stores to perform well. For longer workouts, the degree in which carbohydrates get used by the body, depends on several things. These include the type of training you are doing, your overall diet and also the intensity at which you are doing it. Your glycogen stores are limited and once they are depleted you will struggle with your workout. Carbohydrates will increase these stores and increase utilization. If you are a runner, you may have heard of carb loading before a marathon as a way to boost glycogen stores to survive it. Many elite runners use it effectively. Fueling your training - For many runners there is a belief that carbs are all you need to fuel those long runs or any endurance activity. The reality is carbs can help shorter high intensity workouts - those that last no more than an hour. You don't have to use carbs just for longer workouts. Stimulating the release of insulin - When this is combine with some protein, this improves protein synthesis and prevents protein breakdown. Preserving liver and muscle glycogen - Eating carbs tells your brain you are well fed which in turn helps increase muscle growth and retention. Higher levels of muscle glycogen improved cellular signalling related to muscle building. Eating carbs before a workout will improve your performance, particularly when you consume them 15-60 minutes before working out. They will help you push harder and may also aid recovery. By consuming carbs before hand you give your body an abundance of glucose to burn for immediate energy and you're going to feel much better during your workout and thus perform better. If muscle growth is important to you, then you need to include protein in with your carbs pre workout. Carbs alone are not going to help improve muscle growth but they will give you the energy to push harder. Around 30-40 grams of carbohydrates 30 minutes before a workout is enough to keep you going (​8). Any carbohydrate is fine too (​9), just make sure your body can digest it well enough it won't cause you stomach upset during the workout. Should You Eat Fat Before A Workout? Fat is the perfect fuel for longer and less intense workouts (​10). Using fat for long endurance challenges, has reared its head over the last few years. With many ultra endurance runners opting for a high fat diet to fuel their training and racing. One study found that just a 4 week diet where 40% of total calories consumed was fat, that endurance runnings times increased in trained runners (12). MCT Oil which is MCT fatty acids have become increasing popular over the last few years too. As a result many use them as a quick energy boost before workouts as the medium chain fatty acids do not need to be broken down by the body but are quickly processed by the liver. They concluded that "interventions to increase fat availability before exercise have been shown to reduce carbohydrate utilization during exercise, but do not appear to have ergogenic benefits"
In other words consuming fat has been shown to reduce the need for carbs but doesn't improve exercise performance, stamina or even recovery. They also suggest that individual experience should inform individual practice. In other words, you need to work out what works for you, so if you want to experiment with fat then try it but don't worry if it doesn't work out. What you eat is all very well but WHEN you eat it is JUST as important. Some of us need some help building a framework that helps us make good food decisions at certain times to the run up to our workouts. Knowing when to consume a pre workout meal is really helpful in us planning accordingly. If you want to maximise your performance then eating a complete meal of protein, carbs and fats 2-3 hours before your workout is key. A complete meal is better if you have this much of a window before a workout. It is also worth noting that your actual needs will depend on your size, goals and duration and intensity of the workout you intend to do. 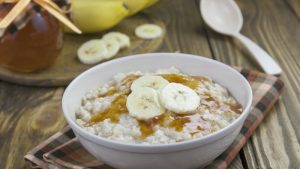 If you are going out for a casual easy run, then this type of meal is less important than if you are doing something much more intense like a tough gym session, 20 mile run, or interval session in the pool. Sometimes it just isn't possible to get a meal in a few hours before your intended workout time, particularly if you intend to workout straight after work. A smaller and simpler meal or top rated pre workout drink could be used instead. Be careful not to eat something hard to digest as you may regret it while you are working out. A liquid pre workout may be better here as it will be easier for you you to digest in the short time you have left. We have all made pre workout nutrition mistakes and have ended up performing a workout with gastrointestinal distress. The key is to learn from that and make sure you pick some better to eat next time! Summary - Consume a meal 2-3 hours before your workout. If you eat an hour before because that's the only time you have, make sure what you eat is small and simple or liquid for easy digestion. Fuel your body properly before a workout with the right nutrients, will ensure you have the energy and mental strength to perform at your best. Your body needs water to function and to perform well. Good hydration is important if you want to perform well and be able to sustain the effort you intend to perform out. Dehydration will significantly decrease your performance (14). It's not just about water intake though. It's worth consuming sodium too. This will improve fluid balance. Electrolyte balance is important to being able to perform. (​15). It is recommended to drink between 16-20 ounces of half a liter of water at least 4 hours before and a quarter of a liter 10-15 minutes before you workout. Taking smalls sips will help ​(16). ​Eat a sandwich with wholegrain bread, protein and some salad. A piece of fruit - Eating a banana is a great option and should digest quickly. Try a protein bar - this tends to work well for me - I may even eat half of one. What About Pre Workout Supplements? Pre workout supplements are extremely popular but are they necessary? Not really. You can easily use whole foods to fuel your workouts and do not need to rely on a pre workout supplement to get you through it. They can, however, be useful and are a convenient way to get some fuel in beforehand - just like a protein shake. Below are some ingredients used in pre workouts that may help performance. Caffeine is a key ingredient to many pre workouts. It has been shown to improve performance, reduce feelings of fatigue and even stimulate fat burning (​17). Of course you could opt to have a coffee before your workout - many people do. Caffeine is found in energy gels as well for marathon runners. It doesn't matter how you choose to consume it, it will have the same effect. The best time to take caffeine is about 90 minutes before but will be effective even if you only have 15 minutes before your workout has started. Peak coffee effects are around 90 minutes after consumption though (18). Beta alanine is an amino acid that increases the amount of caronsine your muscles store. It is effective for short high intensity workouts. Beta alanine can increase time to exhaustion ​(19) and delays fatigue. I have used it successfully before a run workout (which you can read about here). Beta alanine takes time to be effective and needs to up to 6 weeks before you really reap the benefits. The recommended dose is between 2-5 grams 30 minutes before you workout. Creatine is another pre workout that is common among body builders. It has been shown to increase muscle mass, muscle strength and power and delays fatigue. Although creatine is used as a pre workout, it appears to be even more effective when used post workout (20). These 3 ingredients aren't the only ingredients used in supplements. There are many more which you can find out in our article here and here. Pre workout supplements tend to have a mixture of these ingredients and more. You can find out more here. The most common ingredients used are beta alanine, BCAAs, caffeine, creatine, arginine and B vitamins. A combination of these pre workout ingredients can have synergistic effects that help improve performance in a significant way (21). Each product will have a dose recommendation and usually advise taking it 30 mins to an hour before you start your workout. If you want to maximize your performance when working out, it is important to fuel your body accordingly. Pre workout nutrition can help with this, but overall it is important to have a healthy and consistent diet that includes proteins, carbs and fats. This usually will be enough to get you through a workout at your best. Timing isn't as important as what you are eating either but can help if your diet isn't up to par and if you struggle with digestive problems consuming too soon before. Both carbs and proteins should be consumed beforehand and it is also important to keep hydrated. You can eat all the right foods, but if you haven't maintain hydration, you will still have a poor exercise performance.